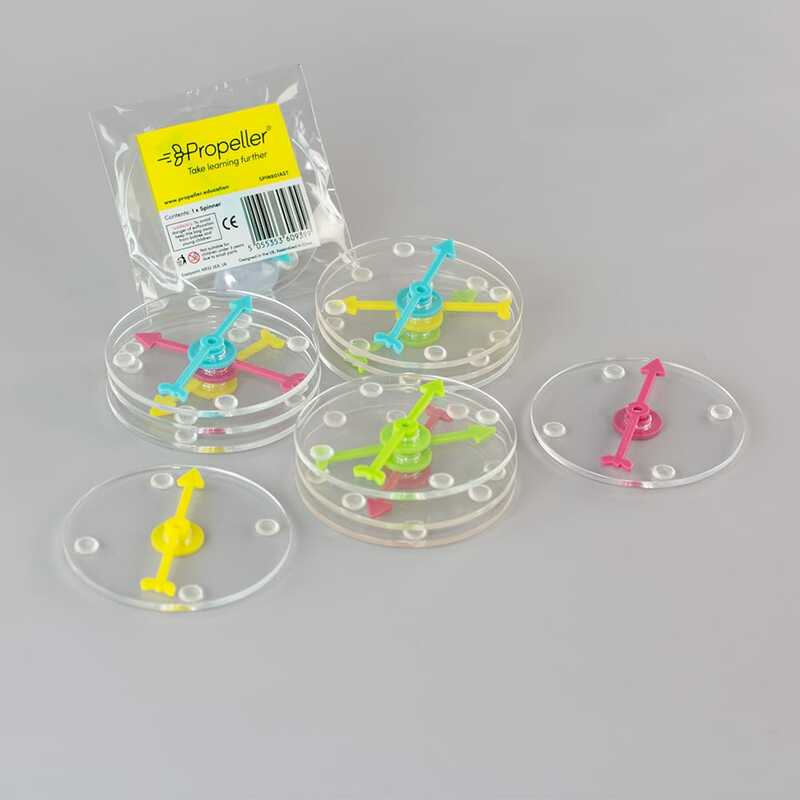 This pack of 10 spinners is the perfect addition to your existing range of Spintelligence kits. With 4 different colours, clear base, non-slip rubber feet there is endless fun and learning to be had with our popular range of spinners. When used instead of dice you can have some great class discussions such as whether the probability of spinning the same is the same as rolling the same number on a dice. Another plus is they are virtually silent - spare yourself from the noise of 30 dice!